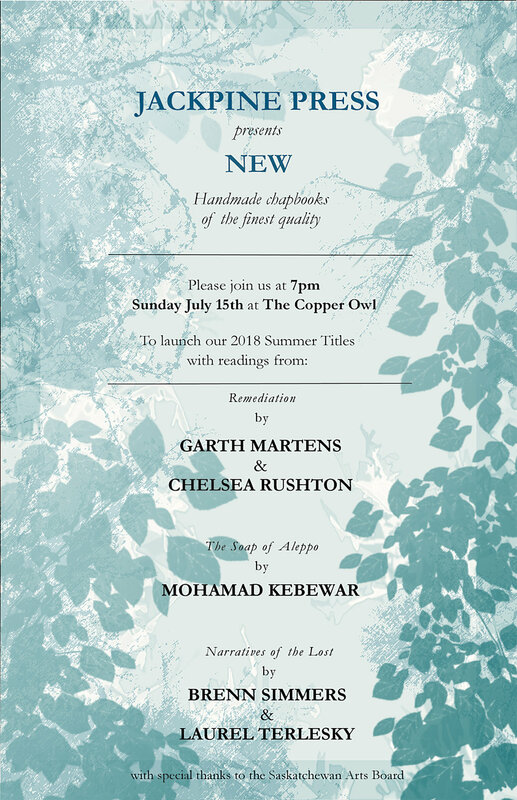 Please join us in launching our 2018 Summer Titles, featuring readings from poets Garth Martens, Bren Simmers, and Mohammad Kebbewar! Come celebrate handmade chapbooks with artwork by Chelsea Rushton and Laurel Terlesky. 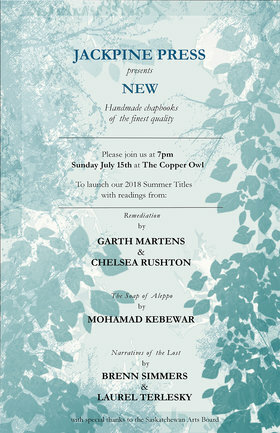 All books are handmade and available for purchase at the launch.